The bus tug did not budge the stump. We are back to working on roots. 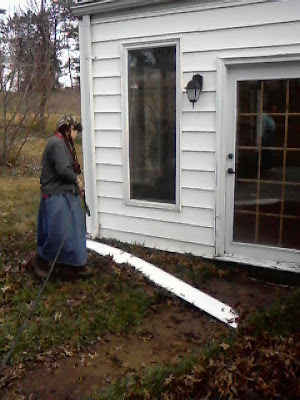 Sarah finished washing siding yesterday. All required before we can move in! We've gotten much done, but two items remain on list!